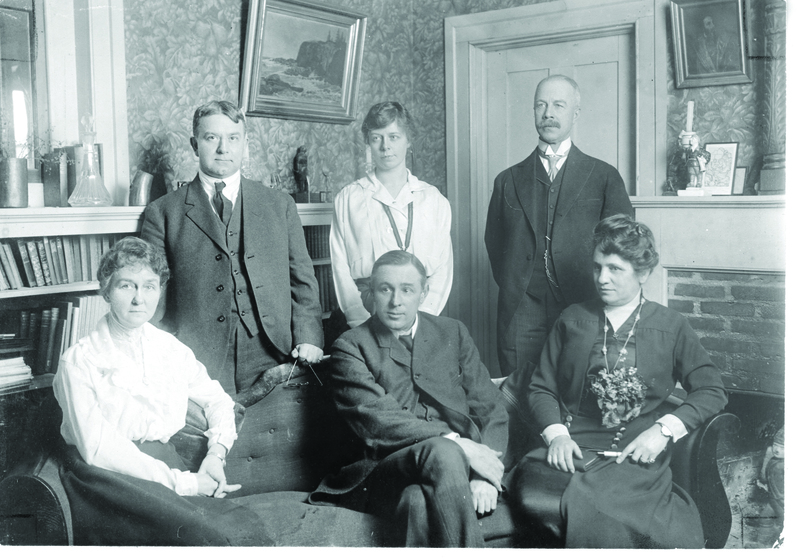 A 1917 photograph of occupational therapy's founders. The founders of occupational therapy at Clifton Springs Sanitorium in 1917. Back row (from left) William Rush Dunton, Isabel Newton, Thomas Bessell Kidner. Front row (from left) Susan Cox Johnson, George Edward Barton, Eleanor Clarke Slagle.